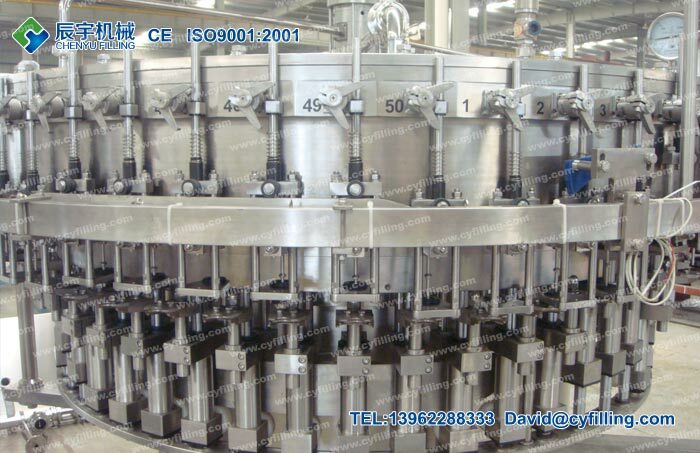 Except for the down framework, the transmission parts and some parts of PET bottle water filling machine that must be made of special materials. 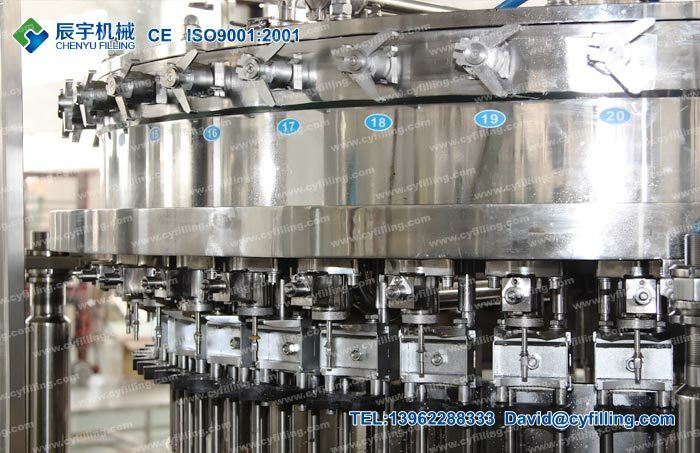 The water filling machine gripper is made of stainless steel, the position where hold the bottleneck is also made of stainless steel, compared with the traditional rubber gripper, it is much hygiene, durable, and no quick-wear parts, the screw parts of the bottleneck can avoid being polluted by the rubber gripper. 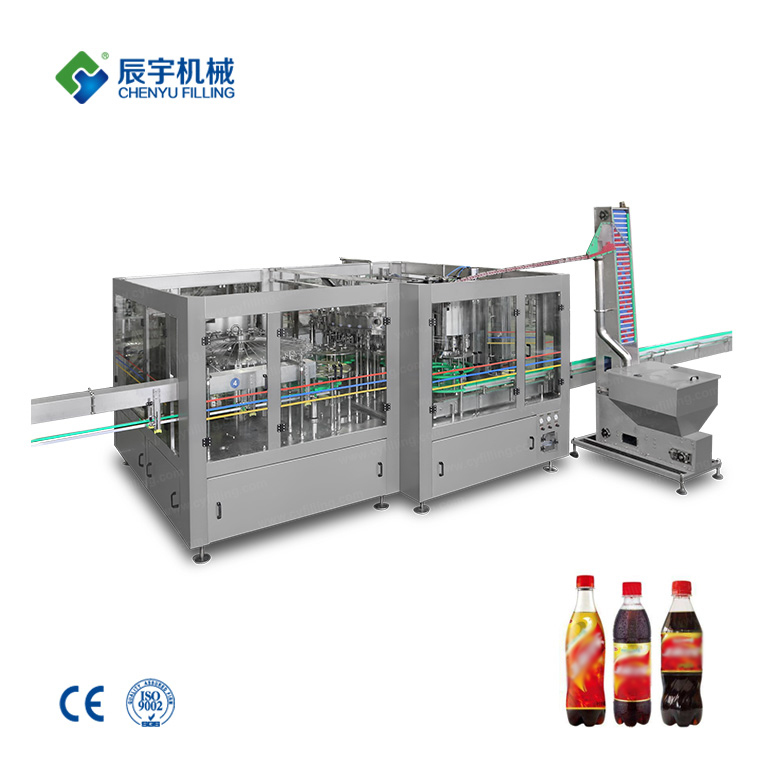 The gripper equipped with high-efficient spray nozzle, it can develop to any position of inwall of the bottle and can save rinsing water. 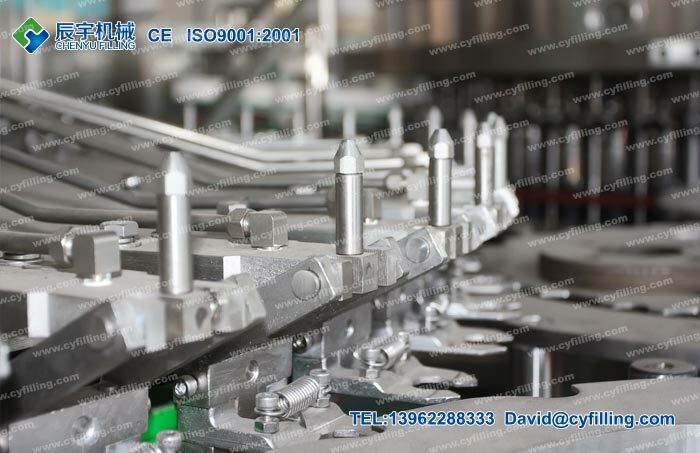 There is a cover above the spray nozzle which can prevent water spilling, there are regulatory recycle slot and recycle pipes under the nozzles. 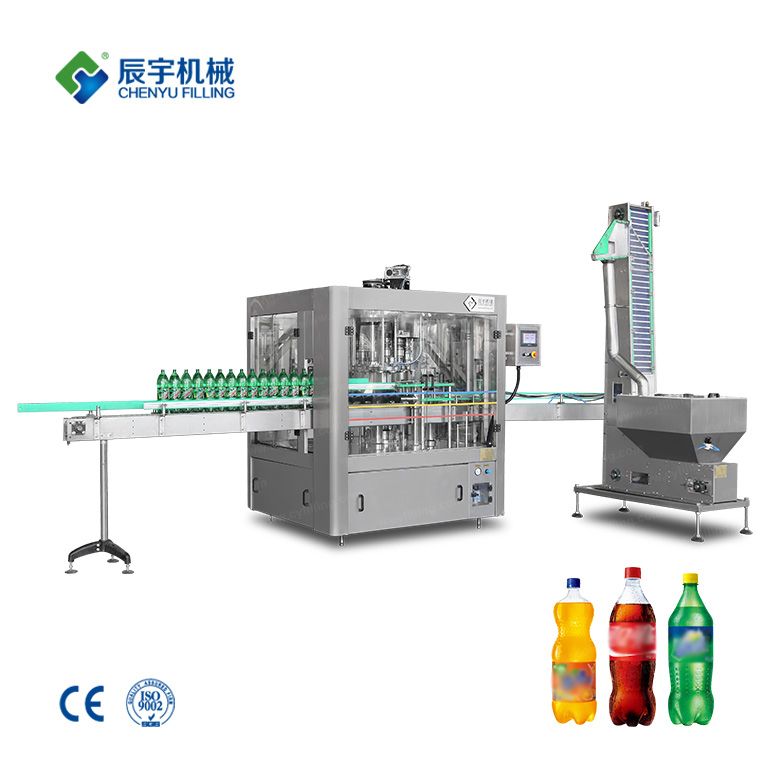 PET bottle filling machine occupies a very important position in the filling machinery industry, the water filling machines can fill PET bottle packagings such as pure water, mineral water and beverage. 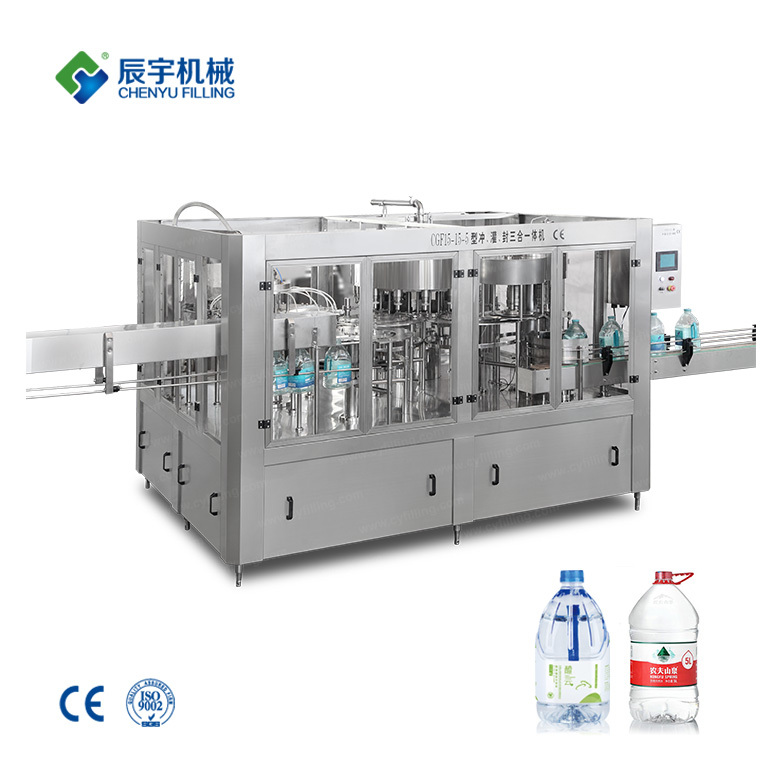 The PET bottle water filling machine can adapt to different bottle height by adjusting the height of the rotary parts. The motivation of the PET bottle water filling equipment is derived from the driven system in the framework passed by gear. 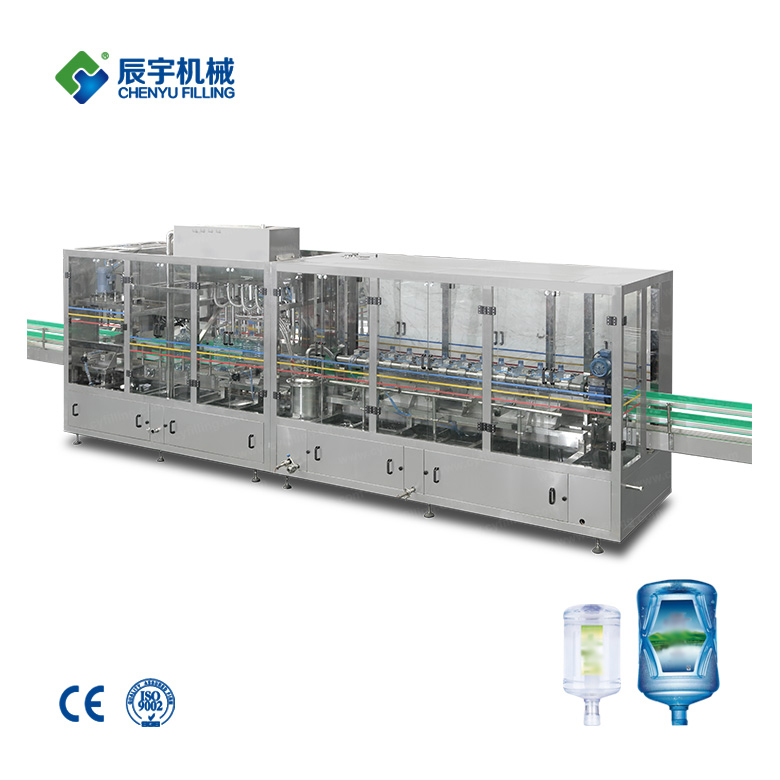 The supplying of rinsing water is controlled by the solenoid valve. 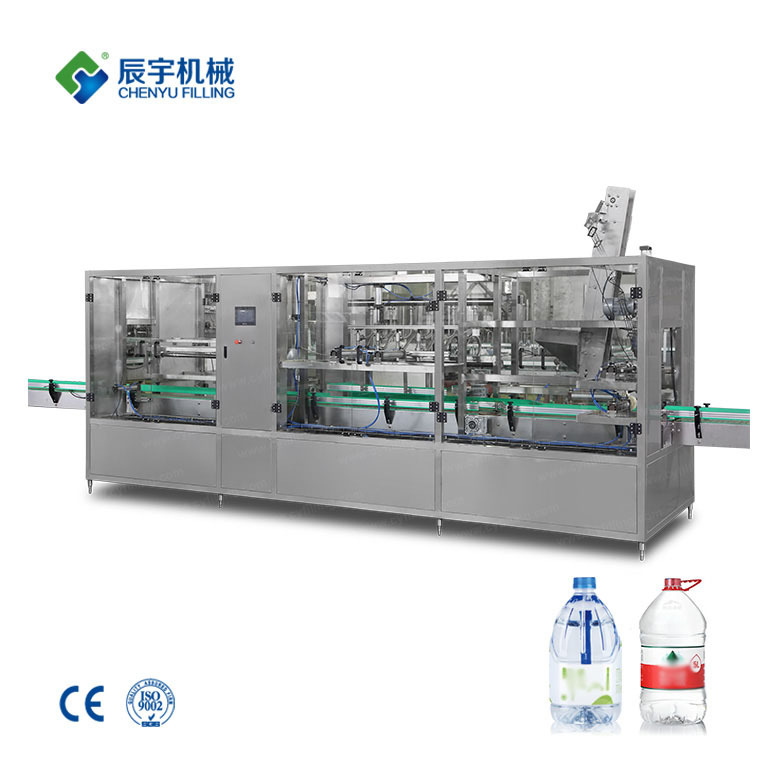 PET bottle water filling machines adopted famous brand anti-corrosion non-maintaining bearing in filling part that can reduce the pollution of filling to the environment. 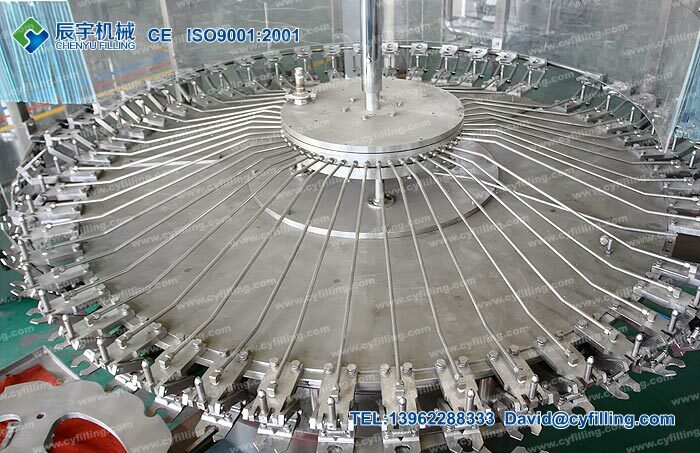 The pressure mechanical valve is introduced the advanced foreign design with a fast filling speed, no hygiene corner pocket, a few sealing parts, and precise liquid level control. The filling valve opens and begins filling when it moves down and touches the bottleneck, the filling valve move up and leave the bottleneck when the water filling machine valve finishes filling. 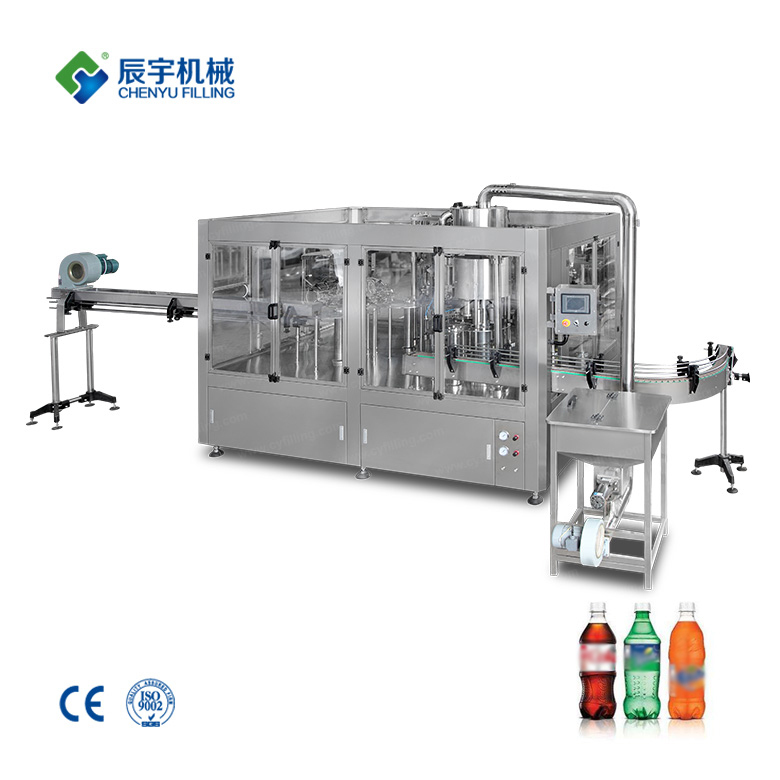 The beverage supply adopts the automatic pneumatic valve magnetic liquid-level switch to control the liquid tank automatically. Sliding bearing is adopted non-maintaining bearing, that can reduce the pollution of filling to the environment. 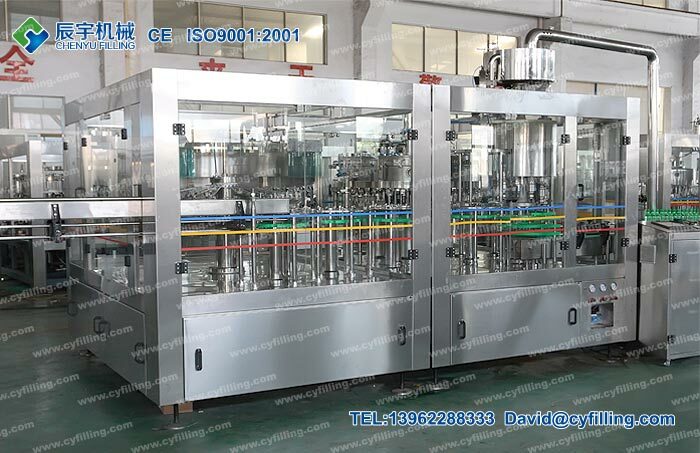 The main drive adopts gear drive, with high efficiency, low noise, long life, easy maintenance, sufficient lubrication, grease can lubricate centralizing automatically, adopts transducer to the speed of the main motor to control, the PET bottle water filling machines adopt step-less frequency conversion timing. The material for the whole platform and frame is carbon steel with stainless steel outside. 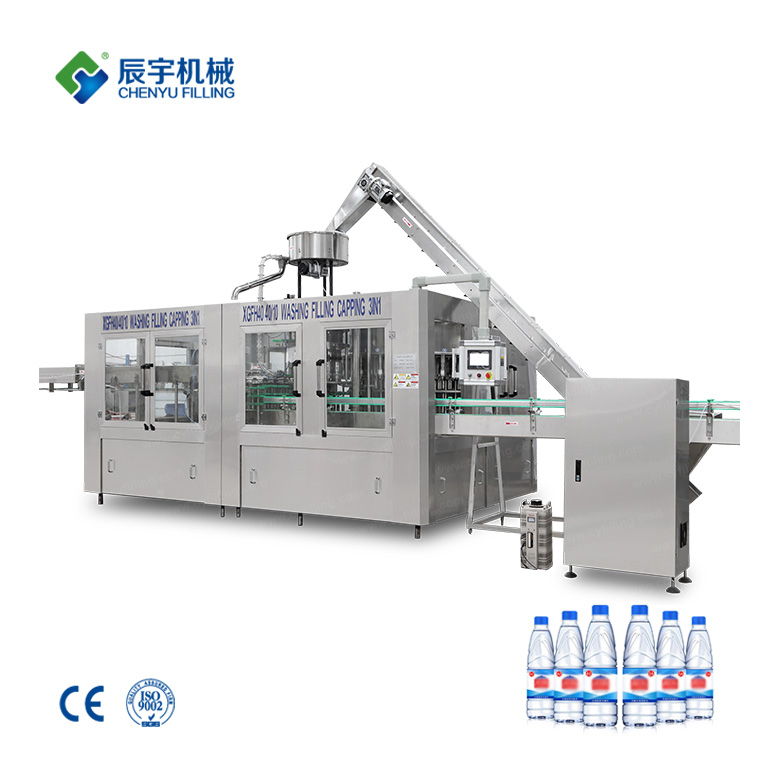 The water filling machine is automatically controlled by PLC, fault on line display, like bottle block, cap shortage etc.